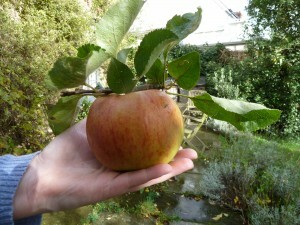 Our Pick and Preserve project started in July this year, when Penny (the Peckham Pickler), joined the Grow Wild team. The project aimed to bring people together to harvest and preserve the seasonal glut of fruit in local public spaces and private gardens and put it to good use! Throughout the summer and into the autumn Penny led walks and workshops for the Grow Wild community, making use of local green spaces and community kitchens to demonstrate how local crops can be turned into delicious cupboard-keepers for long term storage. Participants were able to try their hands at a few old-style preserving techniques such as jams, fruit spreads, jellies, pickles, chutneys, cordials, fruit bottling and pasteurisation and preparing fresh food for freezing, storing and drying. Though the Pick and Preserve project only began in late July, there was still plenty of New Cross local goodies around us to work with…one of our first forays brought mulberry, blackberry and currants to the community kitchen, where we made syrup and jelly. The syrup was enjoyed by everyone frozen into ice creams, granitas, sorbets and lollies for the kids. P&P tip: This syrup makes a great thirst quenching drink on hot summer days.You can also freeze the syrup into ice cubes and then add them to other drinks for lovely berry hit! 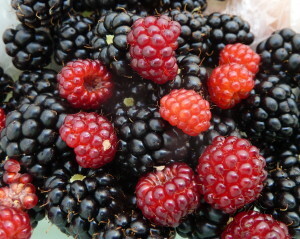 Or freeze berries whole into ice cube trays for a particularly attractive addition to summer drinks. 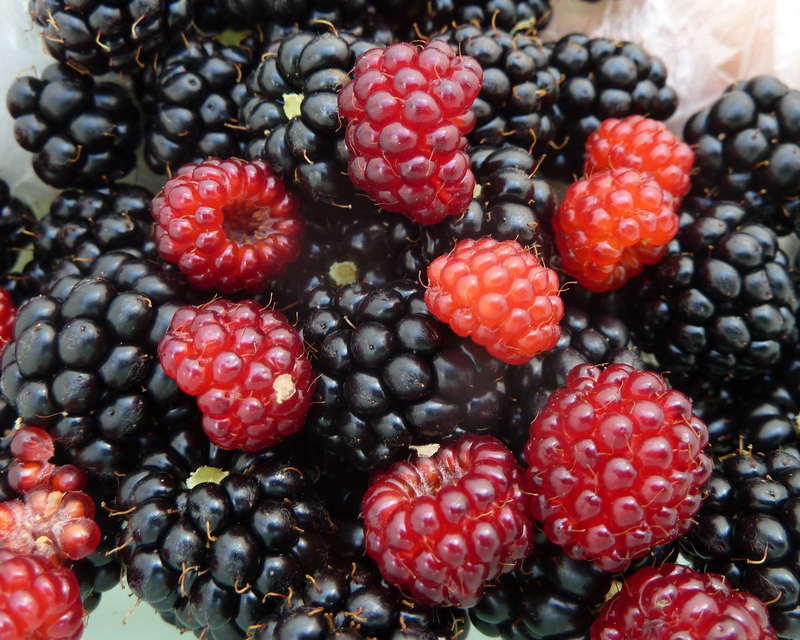 Still enjoying the black berry groove, we came across crops of Mulberry, Blackcurrant, Blackberry, Mahonia and Aronia berries, which we used to make more jams, jellies and syrups to store away – there’s nothing like the taste of last summer on your toast on winter mornings. Spotting a great many fruiting trees in private gardens around telegraph hill, we began leaflet drops up and down the hill offering to help with harvests using our equipment in exchange for a share of the crop and a place on a preserving workshop or a sample of the resulting preserve. 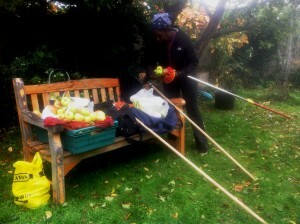 The fabulous people of Telegraph Hill did not let us down, donating their spare trees and surplus fruit generously. 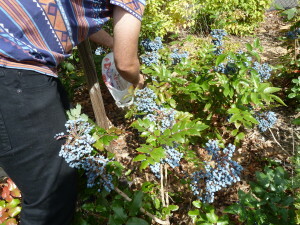 They welcomed us into gardens up and down the hill to harvest in small groups the seasonal fruits for the next Grow Wild cooking or preserving workshop enabling it to be shared with the wider community and new generation of skilled preservers trained up! And a dehydrating workshop provided enough fruit pulps to make a dozen rolls of fruit leathers. 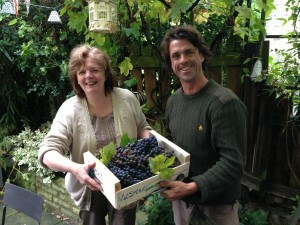 We estimated our total harvest between August and November was approximately 300 kg of fruit! 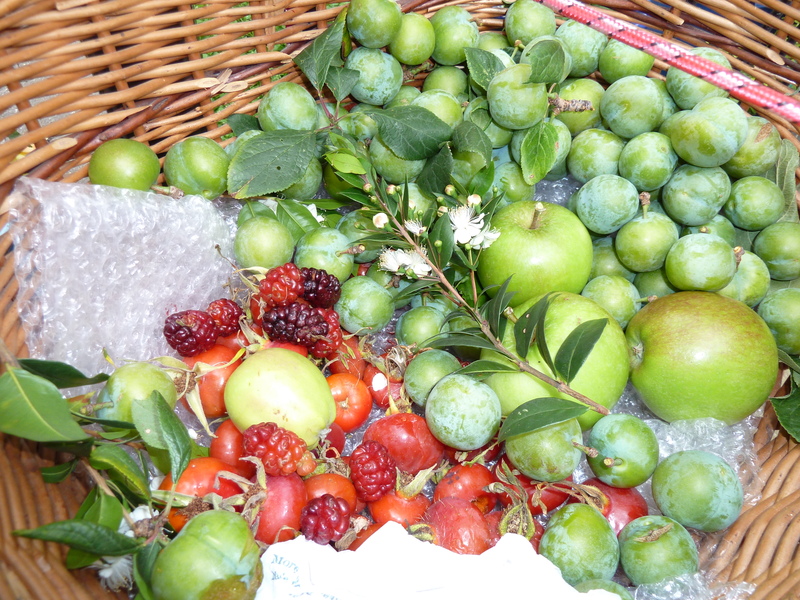 Including: figs, various apples including John Downey crab apples, pears, quinces, grapes, Japanese rosehips, Oregon grape, Mirabelle plum, cobnuts, chestnuts, persimmon and a handful of damsons (bad plum year). At times we had more fruit than we were able to process, so we often shared harvested produce with local food banks and via ‘help yourself bins’ we set up at community cafes to ensure the fruit wasn’t wasted and could be appreciated by all in the community. As part of the project is about mapping trees and bushes, please share your knowledge of wild foodstuffs growing in and around Lewisham on the google map. Anyone can collaborate, just follow the link and sign in to Google – but please respect the advice on editing. 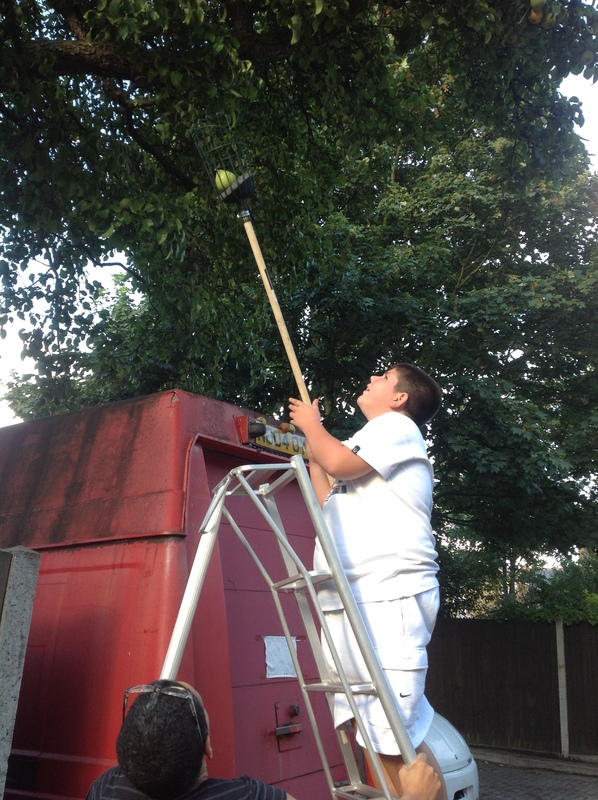 Previous PostCook for yourself – new sessions for young people! 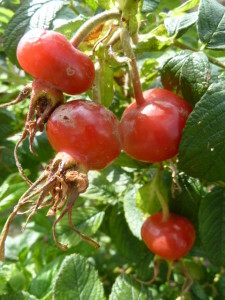 Next PostCome and Cook with Grow Wild this Year!